The face of the industry as we know it has changed forever. Learn the skills you need to succeed in today’s manufacturing in CNC Machining. Goodwin College’s CNC Machining programs are designed to put you on track for a rewarding career in this in-demand field. 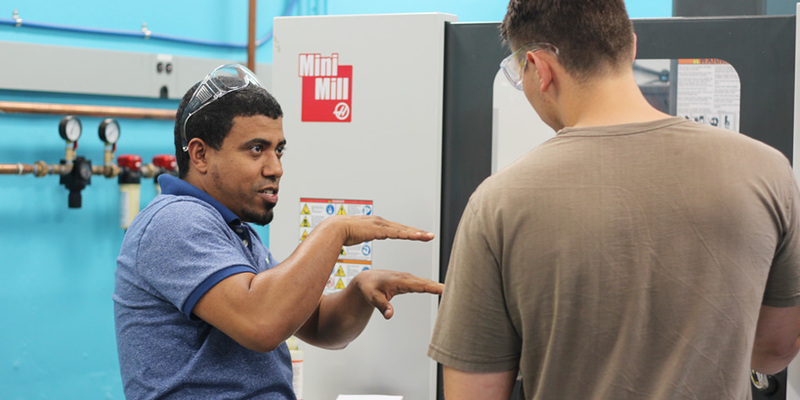 Combined classroom instruction and hands-on operation of our new CNC 3-axis milling and turning machines will provide you with the knowledge and machining experience you’ll need to be successful in the industry. In this CNC operator training program, you will also gain an in-depth understanding of advanced Mastercam skills needed for programming tool location, motion, and feeds and speeds. When you successfully complete this program, you will be prepared to pursue a National Institute for Metalworking Skills (NIMS) credential as a CNC operator.